See attached screenshot. 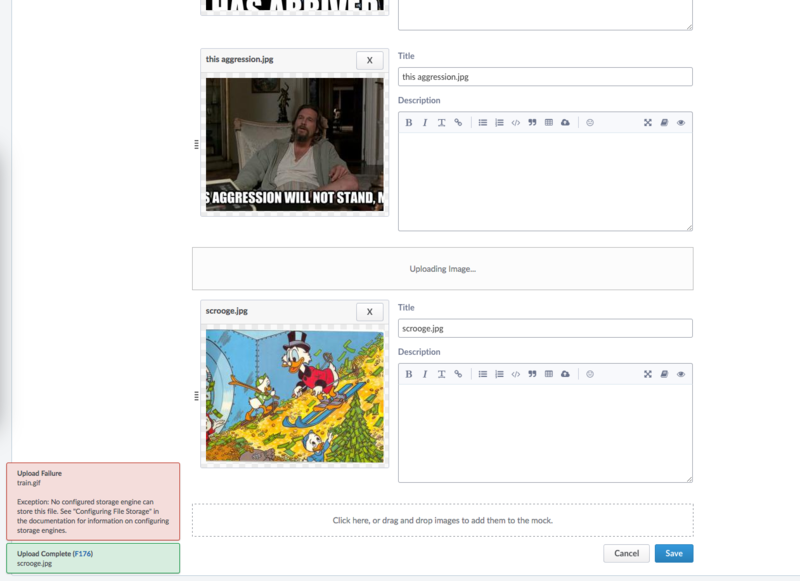 train.gif failed to upload, popping the error dialogue, but the "Uploading Image..." UI element sticks around, even after an additional (successful) upload. This is purely a "polish" thing since it doesn't affect the ability to add more files after a failed upload.